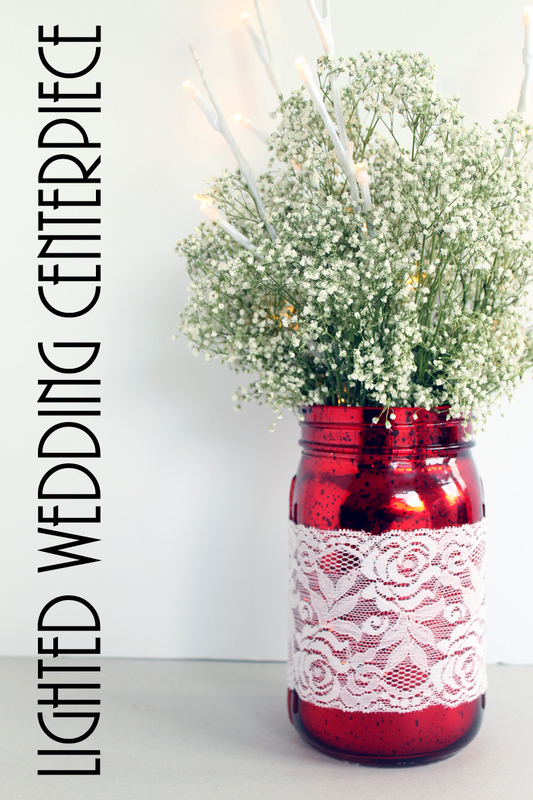 You can make your own mason jar wedding centerpiece in just minutes with our tutorial. This quick and easy centerpiece will also light up which means it is perfect for those dusk and night time weddings. I will actually be using these for my daughter’s wedding next month so y’all stay tuned for more pictures of these in use! This one was posted over at Crafts Unleashed but I thought I would post it here as well in case y’all missed it. Some links may be affiliate links which means a portion of your purchase will go to support this site but you will not pay any more. 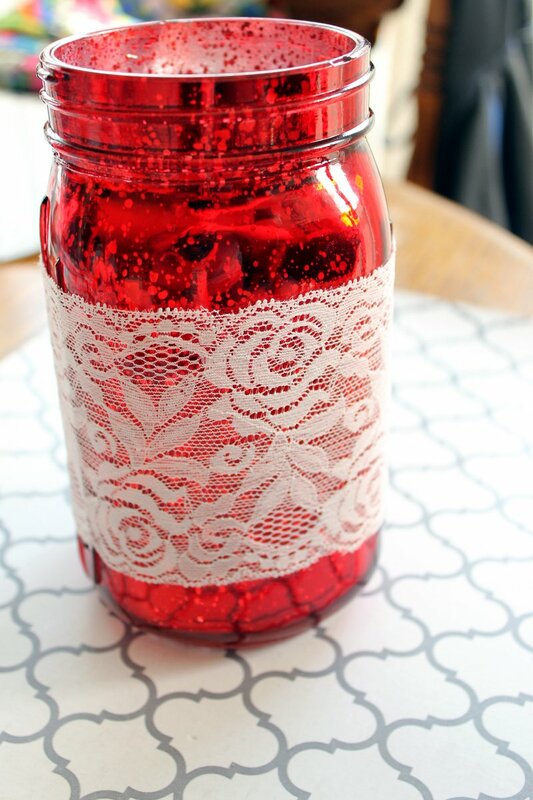 Start by adding the lace ribbon around the mason jar as shown below. Secure on the seam with some hot glue. Be careful not to burn yourself through the lace! 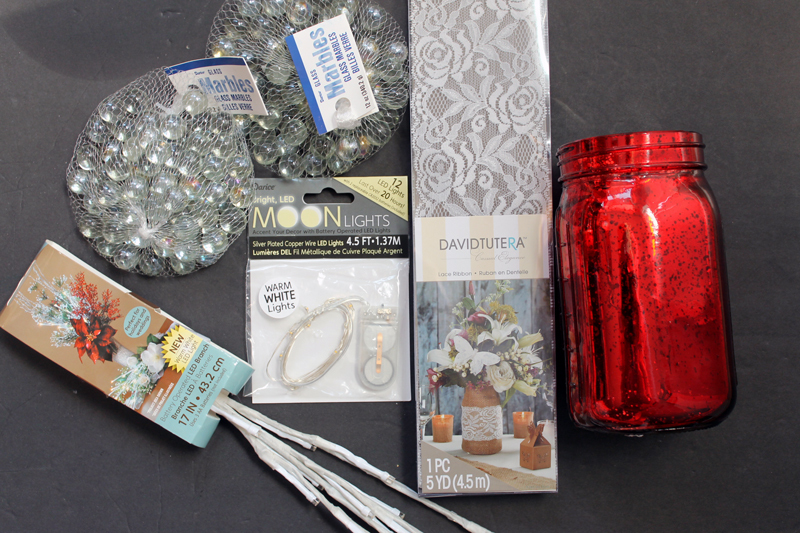 Fill your jar with marbles and weave in the stand of moon lights as you fill the jar. Make sure the battery pack and switch end up at the top. 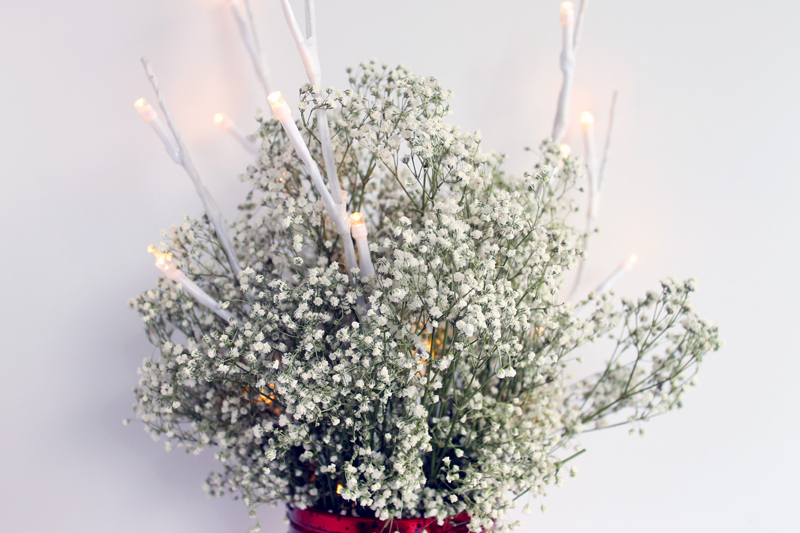 Insert your lighted LED branches into the jar and arrange baby’s breath around the stems. You will have to bend the stems and arrange them in the jar. 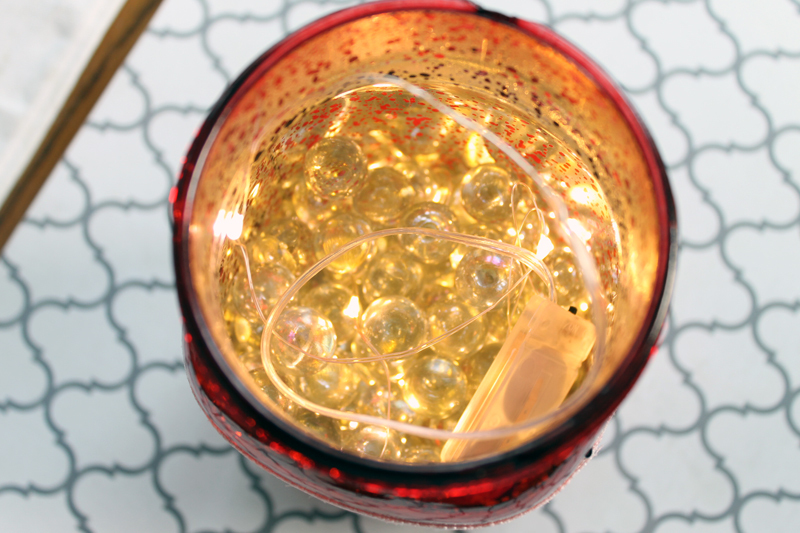 NOTE: The lighted stems require batteries before adding to the jar. Take a look at this mason jar wedding centerpiece all lit up in the dark. Looks great right? 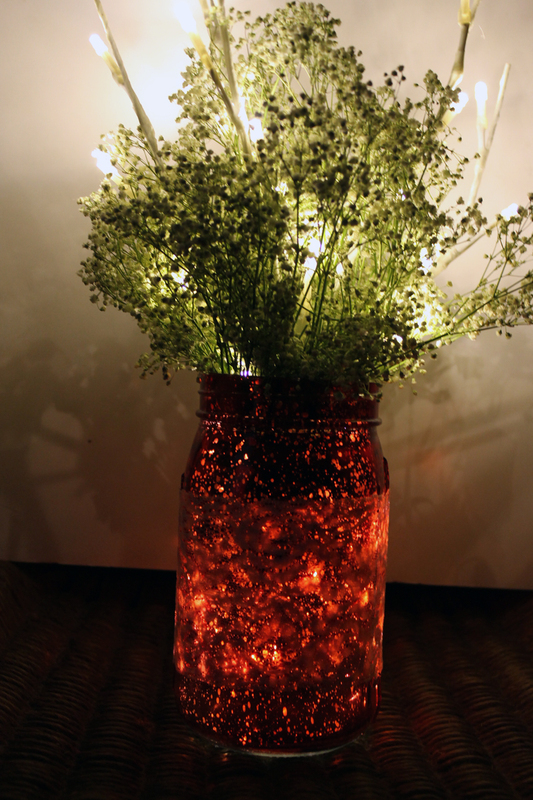 The mercury glass mason jars really make this one great as they are transparent enough to let the light shine through. 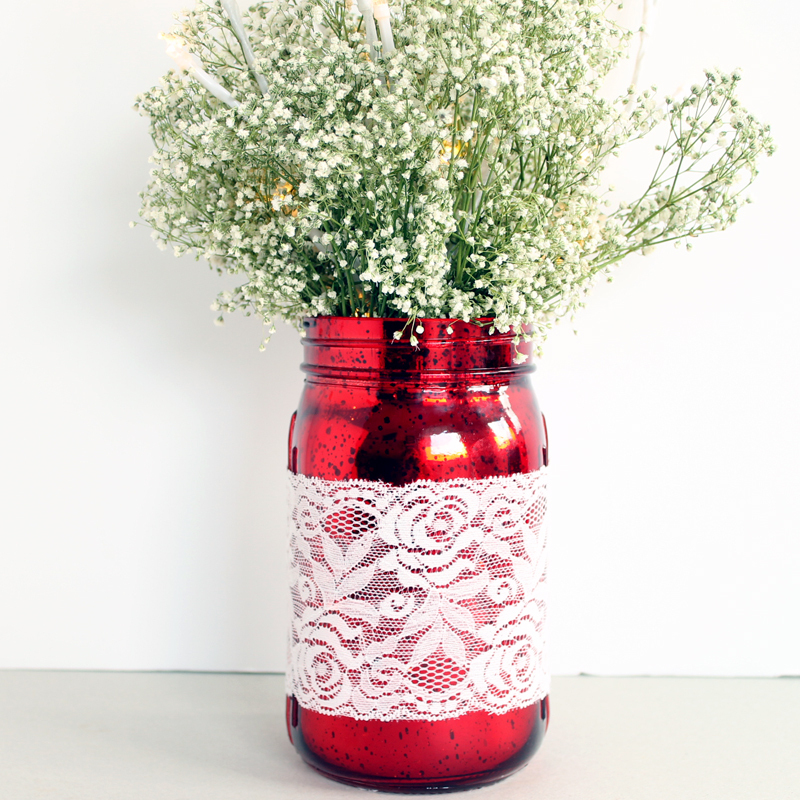 Add this mason jar wedding centerpiece to your DIY wedding list. You will love how easy they are to throw together. Don’t need lights at your wedding? No problem! 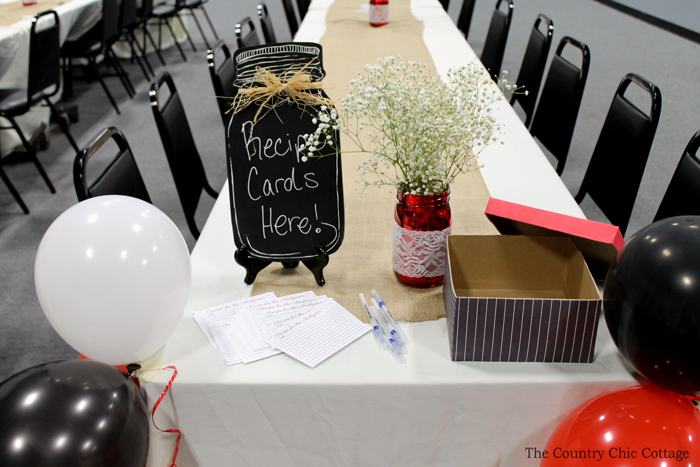 You can also make this one without the lights for an elegant day wedding. Click here to see the version without lights at our bridal shower. 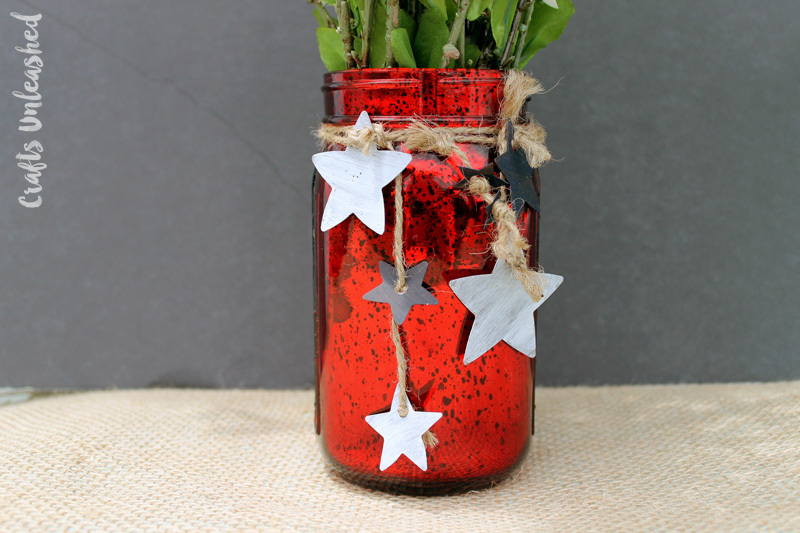 Use the leftover mason jars after the wedding for projects like this patriotic mason jar! If you love these ideas, don’t miss our collection of over 80 MORE mason jar wedding ideas here.